Happy Mother's Day dog and cat moms! Happy Mother’s Day dog and cat moms! Happy Mother’s Day to all the moms out there! Increasingly, the sentiment towards pets is that they are also part of our family and many of us consider pets our furry “children” and invite them into our homes, hearts and even our beds! This is one of the many reasons pet insurance exists too! Much like children, pets are completely dependent on us for their care and bring so much joy into our lives. 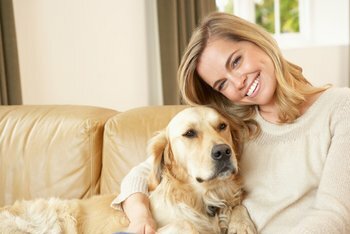 Why not honor this unique “furbaby-parent” relationship your family has with your pets this Mother’s Day? -A personalized card for mom, from Fido or Fluffy. Check out www.sloppykisses.com for cute ideas. -What mom doesn’t love breakfast in bed? Personalize it from your pet by creating dishes your pet might chose. How about a yummy breakfast salmon and potato bake made by the cat? Check out www.epicurious.com for recipe ideas. -Why not arrange a picnic outing to a local dog friendly park, complete with a goody-filled basket for mom and furbaby! Or have a picnic in your yard with your kitty kid! -You could also organize a play-date with other pet-moms and their four-legged children for a B-B-Q get together. -I’m sure if your furry family member could drive the car to the store he or she would pick out the nicest thing for mom, but I bet mom would settle for a donation in her name to the local humane society instead. Another great gift for both momma and furry child is cat or dog insurance, if the “child” isn’t already insured! -Maybe the pet-loving mom in your family would enjoy a personalized pet inspired gift such as a photo travel mug with pictures of her and her littlest “child” on it, or a personalized mousepad with a cute photo of her and Rover to brighten her day at work. Check out www.personalcreations.com for lots more ideas. -Have an animal-friendly movie night in. Pick a favorite pet inspired film, like “Lady and the Tramp,” “Must Love Dogs,” “Marley and Me,” or “All Dogs Go to Heaven.” Make sure to bring tissues and pup or kitty friendly treats. -Arrange for the whole family (pets too!) to have professional pictures taken with a photographer; a perfect way to remember Mother’s Day 2012! The post them to the Pets Best Insurance Facebook page! Surely something as simple as a little one-on-one snuggle time, complete with kisses with help make this Mother’s Day special for her as well. Every animal loving woman should be honored this Mother’s Day for her contribution to raising and caring for not only her human children, (if she has them) but all the animal children in her life too. Happy Mother’s Day!